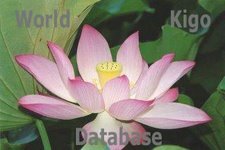 Personal names are sometimes used in haiku and senryu. an Irishman known as Fitzcarraldo in Peru, who has to pull a steamship over a steep hill in order to access a rich rubber territory. In the famous movie about his life, Klaus Kinski plays Fizcarraldo. was a Hungarian-born American stunt performer, noted for his sensational escape acts. He first attracted notice as Handcuff Harry, on a tour of Europe, where he would sensationally challenge different police-forces to try to keep him locked up. This revealed a talent for gimmickry and for audience involvement that would characterise all his work. Soon he was extending his repertoire to include chains, ropes slung from skyscrapers, straitjackets under water, and having to hold his breath inside a sealed milk-can. Angélique Kpasseloko Hinto Hounsinou Kandjo Manta Zogbin Kidjo, commonly known as Angélique Kidjo is a Beninoise singer-songwriter and activist, noted for her diverse musical influences and creative music videos. a Vietnamese Mahayana Buddhist monk, set himself on fire performing a ritual suicide in protest against the persecution of Buddhists by the US-backed corrupt South Vietnamese government. The photo of his self-immolation was circulated widely and brought close attention to the larger structural and ideological causes of the Vietnam War. Tunisian unrest began in December, 2010 after Mohamed Bouazizi, a 26-year-old unemployed university graduate who sold fruit and vegetables on the street without a permit, set himself on fire in a suicide attempt after police confiscated his grocery cart. Lam Van Tuc :　More in the WIKIPEDIA ! was a Classical Greek philosopher, mathematician, writer of philosophical dialogues, and founder of the Academy in Athens, the first institution of higher learning in the Western world. Along with his mentor, Socrates, and his student, Aristotle, Plato helped to lay the foundations of Western philosophy and science. Arranged in ABC order of the family name. 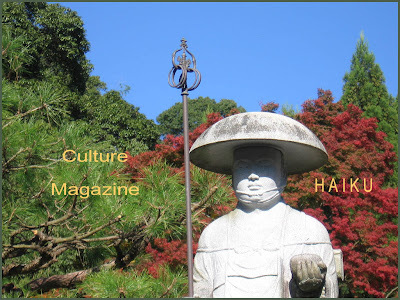 contributions from "Haiku Culture Magazine" at the end. American singer-songwriter, poet, and painter. American aviation pioneer and author.
. Mandela, Nelson Rolihlahla Mandela . Tudor Gheorghe, Musician - Romania.
. Culture Magazine - Haiku - FB .
. Davis, Miles Davis .
. Francis I, Pope elected in March 2013 .
. Thatcher, Margaret Thatcher, England .